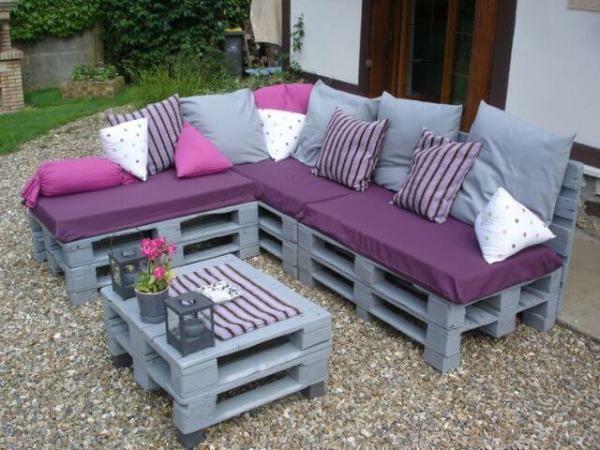 If you are all brainstorming too enhance the outdoor sitting space in a cost-effective then we just recommend you to take part in recycling of pallets! 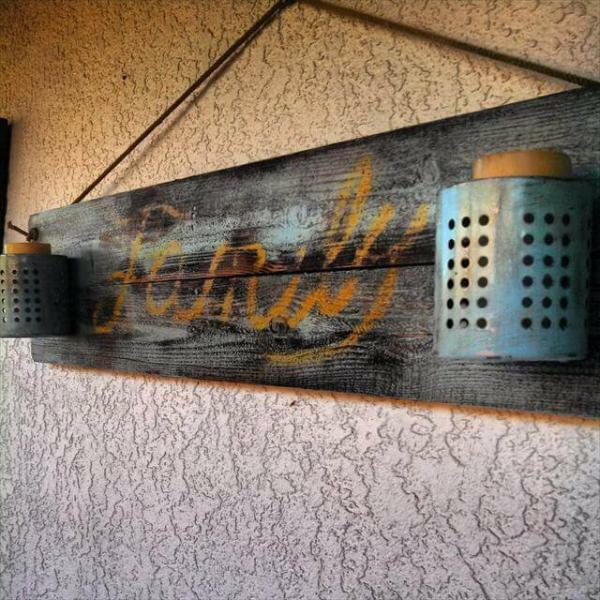 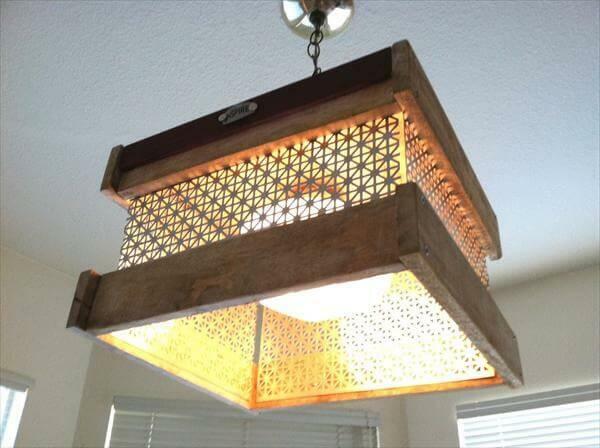 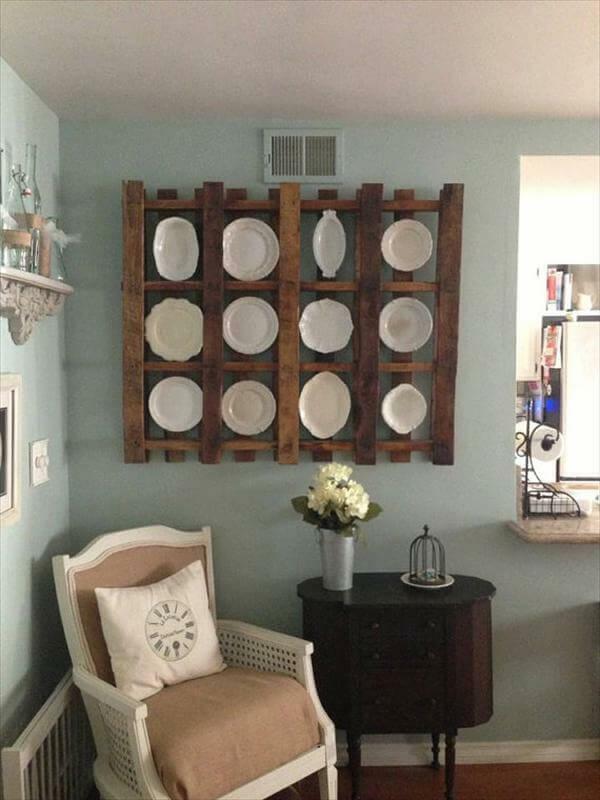 It is always a great experience to build stylish and sturdy wooden furniture out of pallets! 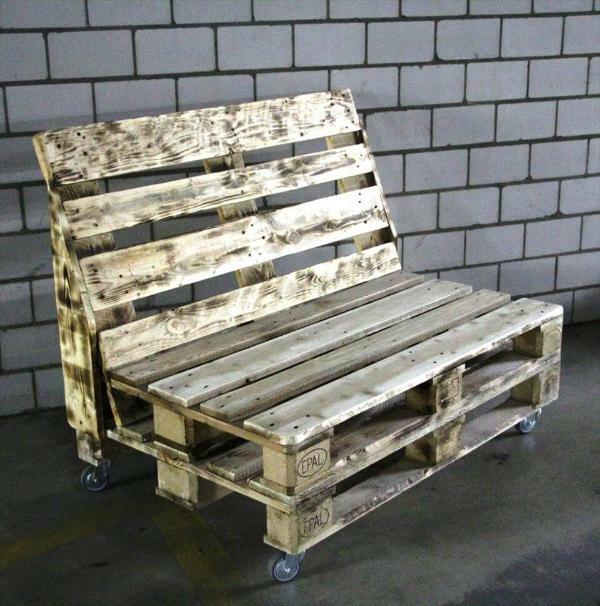 For anywhere comfy space at outdoor, you can simply clone this DIY pallet bench, raised on wheels and is made of almost 3 pallet skids! 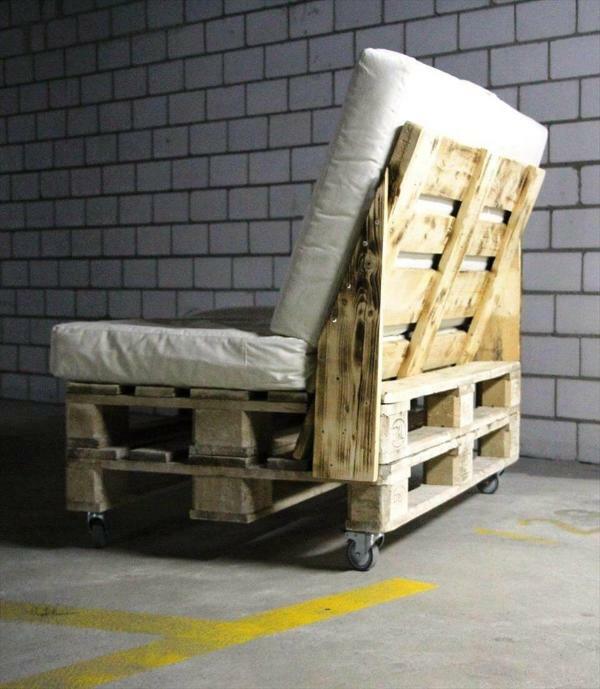 Stack of 2 pallets have been raised on hardware roll for a touch to move berth section of the bench while a skid of pallets with all removed back portion has been decided to set as a backrest, fixed to backside of stacked-pallet-berth and 2 extra wooden lengths with sharp cut on the top, have been used to support the backrest more! 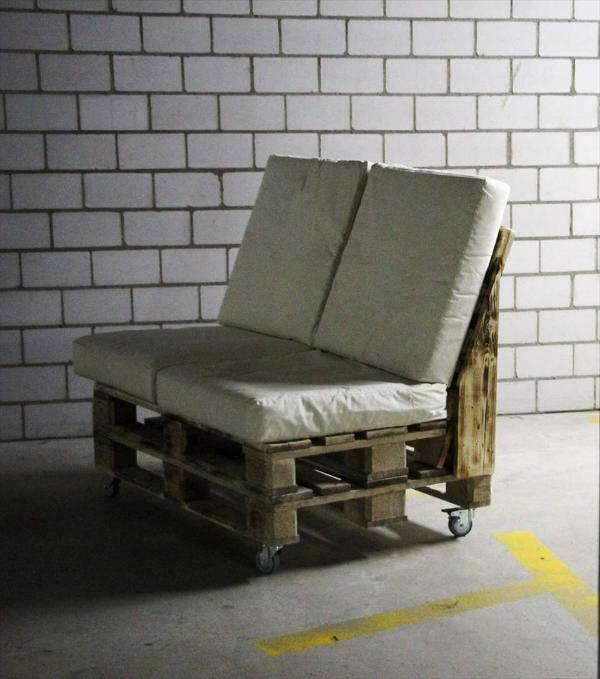 Bench is just perfect for 2 people sitting and has been made super comfortable by just making its seat and back cushioned! 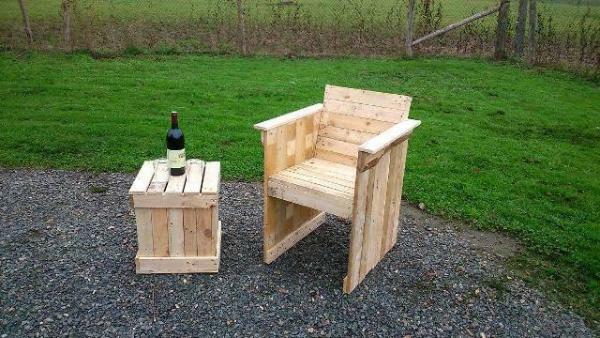 Will be a pleasure to sit on while feeling happy in green outdoor environments! 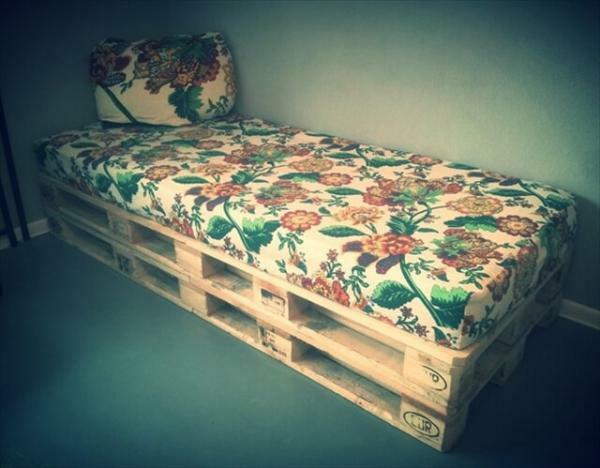 All you need to consume 3 pallet pallets for this robust wooden bench design! 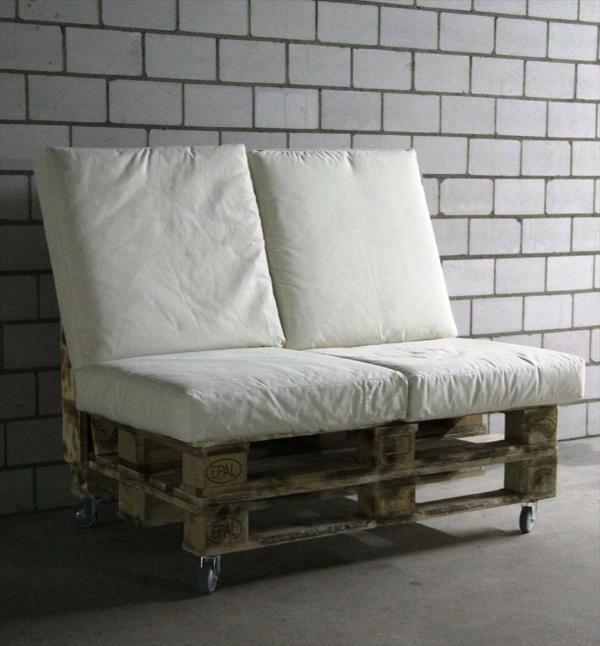 2 pallet for building berth section and 1 for backrest installation! 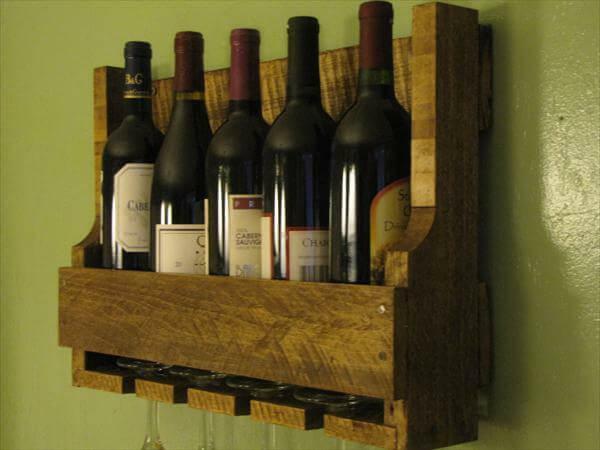 For construction of bench berth, you only need to put 2 clone sizes of pallets on one another as you can see it here! 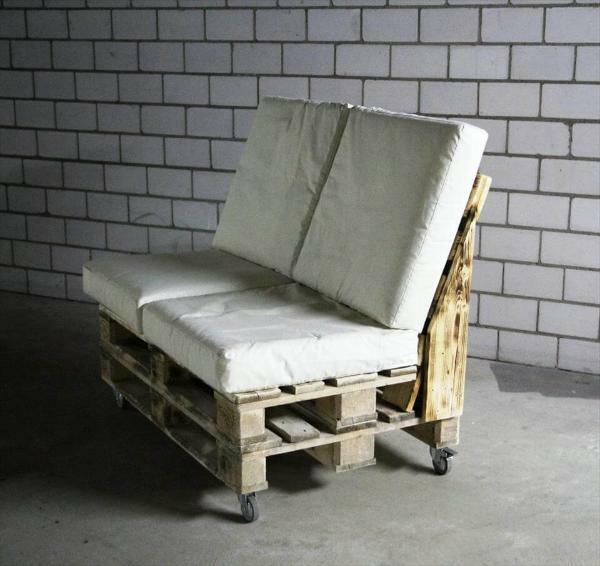 Installation of backrest position has been done is a wise and super genius way, 2 lengths of pallets have been added to back corners of berth position and comes with sharp angled cuts to their tops! 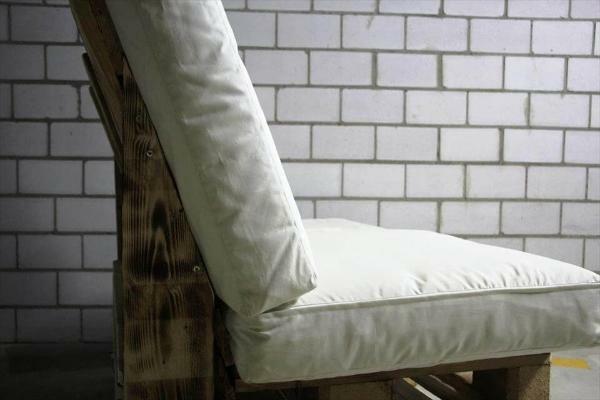 These vertical wooden lengths hold inside the backrest and the sharp edges beautifully cover the angled backrest position! 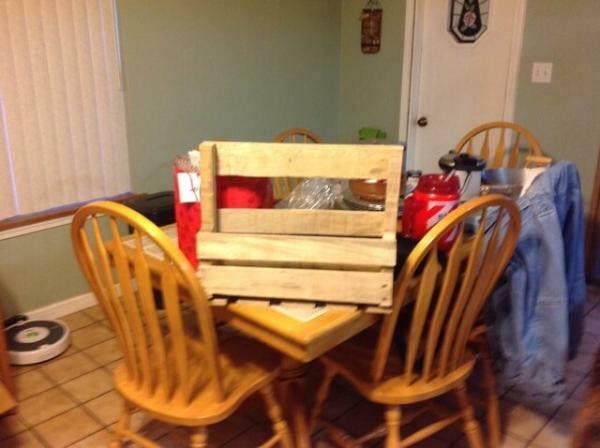 Both backrest and backrest supports, have been recovered from a single pallet skid! 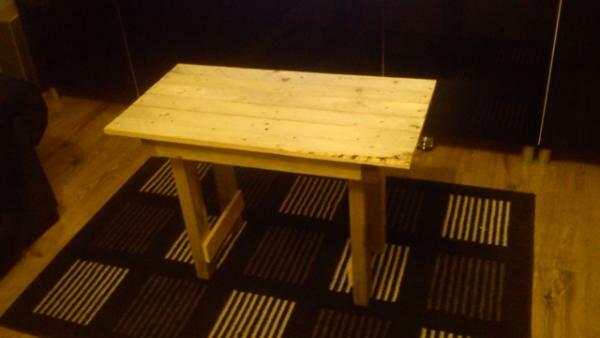 This is here the super quick and easy way to add stylish backrest to pallet-made benches! 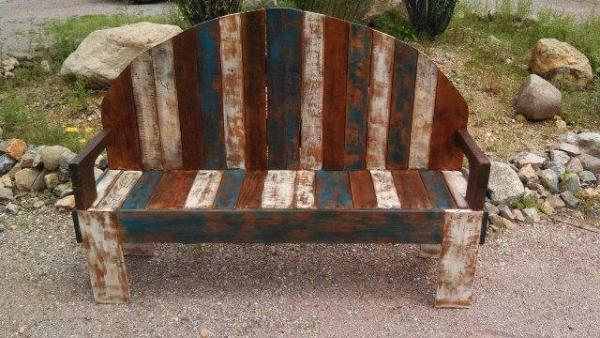 Hardware casters or metal rolls have been preferred to bring a magnificent industrial style to entire rustic bench design! 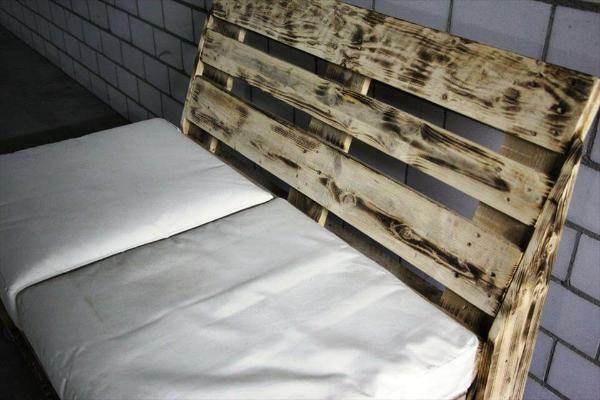 Finally the foam mattresses with milky fabric cover, have been placed over to comfy up the entire bench design!